How do Chinese Herbs work and what do they treat? 23 Aug How do Chinese Herbs work and what do they treat? For more than 3,000 years, Chinese herbs have been used to treat a range of health issues and ailments. In the last few decades, they have become increasingly popular in Europe and America, where individuals unsatisfied with Western medical treatments have pursued the healing power of herbal remedies for the relief of many conditions. but also some minerals and animal products used in herbal therapy. Different parts of plants, such as the leaves, roots, stems, flowers, fruits, seeds and branches, are typically used in Chinese herbs. TCM practitioners believe herbs — which contain naturally active compounds like minerals, vitamins, proteins, enzymes, chlorophyll, alkaloids, oils, resins, mucilage, cellulose, tannins, polysaccharides, terpenes, and trace elements of nutrients — can help the body reestablish a healthy state by altering the nature of biological activities. prescribe the exact amount of herbs to treat a particular condition and restore internal systems. ● The deputy herb reinforces the main herb and assists in treating the associated symptoms. ● The assistant herb reinforces the chief herb or treats the secondary symptom, counteracts any toxicity issues, and works in synergy with the chief herb to treat complex disorders. ● The envoy herb, which is used in small doses, directly channels all the herbs to the affected areas of the body and harmonizes the formula. normally are required to have a master’s degree and continuing education credits. Chinese herbs are administered in the form of teas, capsules, tablets, liquid extracts, tinctures, granules, ointments or powders. In the United States, they are sometimes marketed as dietary supplements and therefore fall under less stringent FDA regulations than prescriptions or over-the-counter (OTC) drugs, making it imperative you find a trusted and high-quality source. Like chemically synthesized prescription and OTC medications, Chinese herbs are indicated for a certain amount of time, based on the health concerns of a patient. Some Chinese herbs can be effective after a few doses, while others are taken for months or even longer to alleviate symptoms and pain. And just like pharmacological substances used to treat medical issues, Chinese herbs can have serious side effects if not taken as directed. While the list of herbs used in TCM is exhaustive, about 300 plants containing antiviral, antibacterial and immunomodulating properties are commonly prescribed for different conditions. Specifically, Chinese herbs have long been used to resolve functional disorders like weak digestion and elimination, boost poor immune system response, balance hormone and estrogen deficiency, and treat abnormal tissue growth such as tumors and cysts. 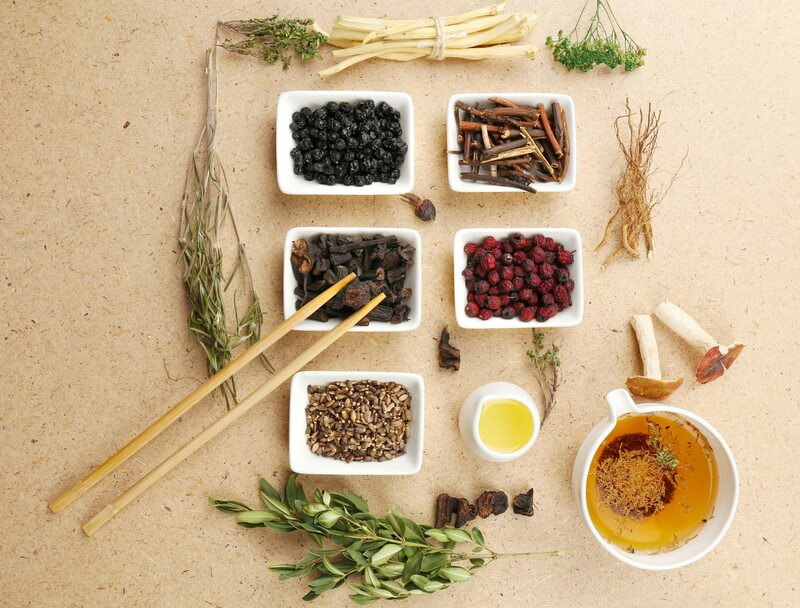 TCM herbal formulas are also regularly used to treat allergies and asthma. demonstrated significant effects on middle or late-stage malignancies of pancreatic, lung and liver cancers, increasing life expectancy when injected together with chemotherapy. the cognitive and memory impairment associated with vascular dementia. To learn more about how Chinese herbs work to treat a variety of health issues, contact Sicari Healing Arts to schedule a consultation. What Is Integrative Medicine and How Does it Work? Do you seek relief from insomnia, anxiety, depression, chronic pain, sexual dysfunction, menstrual problems, allergies, digestive problems, and major life changes? Become more intimate with your life, move through the changes with more peace, and heal from imbalances on the physical, mental, and emotional levels at Sicari Healing Arts.